A new preview from the upcoming novel Star Wars: Last Shot by Daniel Jose Older has been released on StarWars.com. 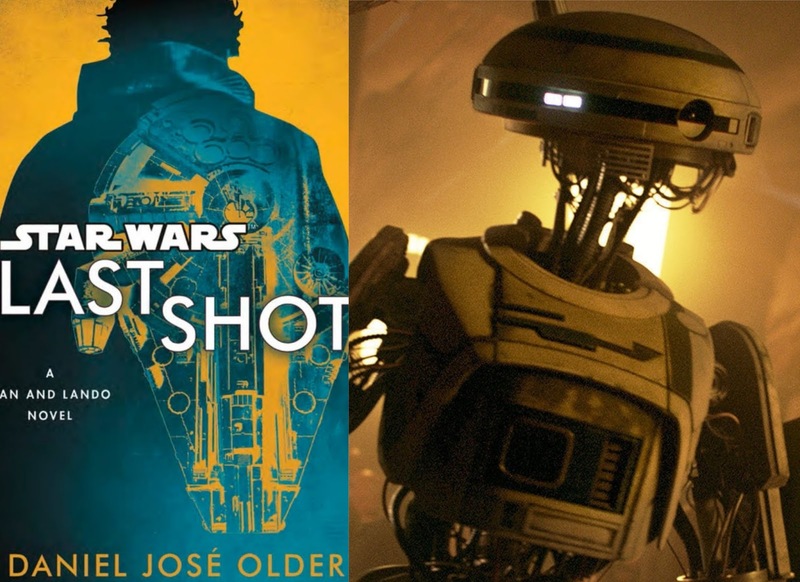 The excerpt, which can be read or listened to, features Lando Calrissian and the new droid L3-37 who will be played by Phoebe Waller-Bridge in the film Solo: A Star Wars Story. The novel, which is a Han and Lando adventure, will cover multiple eras including before Solo and after Return of the Jedi. This new preview takes place prior to the upcoming film. You can read (or listen to) the full excerpt here. Two other preview excerpts from the novel have been released online previously. The first, set following the events of Return of the Jedi, featured Han with his infant son Ben Solo. The second, set prior to A New Hope, features Han and his "wife" Sana Starros. The full novel hits shelves next week on April 17th.